« Jardin secret » Vidéo en boucle, 2005. « Abysse » (Vidéo) par Yun Aiyoung. Tous droits réservés. Née en 1964 à Chung Ju, Korea. Elle vit et travaille à Paris. Les œuvres de Yun ont comme principal point commun de figurer un univers poétique et intuitif, ouvertement onirique et souvent tourné sur lui-même. Non pas fermé aux autres mais conçu comme un cocon accueillant et confortable, propice au recueillement. L’esprit flotte dans un état second alors que le corps se promène. Yun Aiyoung conçoit ses œuvres comme un mélange subtil d’éléments réels. Plusieurs réalités se côtoient, des phénomènes naturels concrets agencés de telle sorte qu’ils évoquent un monde parallèle, entre rêve et fantasme. 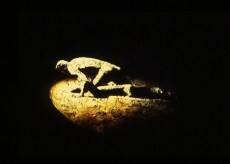 « Trace », 2000-6, Durée : 8mn (en boucle), Installation Vidéo, Couleur, son, Color/Sound, Video loop projected in a dark room. « Floating Time » (Vidéo) par Yun Aiyoung. Tous droits réservés. 1988: B.F.A in Fine Art, Ehwa University, Seoul, Korea. 1993: Graduated Ecole Nationale Supérieure des Beaux-Arts(ENSBA), Paris. 1993/8: B.F.A / M.F.A in Fine Art, University Paris VIII, Paris. 2013: Albert Benamou Gallery, Paris, France. KAP ( Korean Artist Project ),Virtual Exhibition, Whanki Museum, Seoul. 2010: Christine Park Gallery, Paris, France. 2005: Centre d’art contemporian Basse-Normandie, Pavillon Normandie, Caen, France. 2005: Red bridge Art Gallery Foundation, Vologda, Russia. Paris/ New York, 2×13 Gallery, New York. 2003: Centre d’Arts Plastiques de Saint-Fons, France. 2002: The State Russian Museum, St-Petersburg, Russia. 2001: Metronom Foundation, Barocelona, Spain. Chateau museum, Imagepassage. Annecy, France. 2000: ARCO, Project room, Gallery Les filles du calvaire, Madrid, Spain. 1998: Gallery Les filles du calvaire, installation video, Paris, France. 1996: Gallery Bernanos, Paris, France. 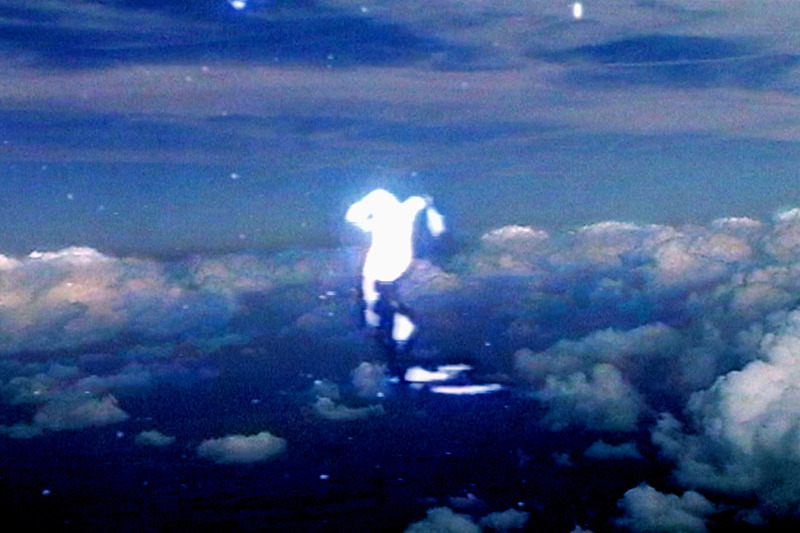 « Coma », video-performance & choreographies, Theater Confluences, Paris, France. 1995: « Story of a man », Atelier Artsenal, Issy-les-Moulineaux, France. 1994: « Earth, Water, Tree », installation environnement, Winchester, England. 1993: FLAK Gallery, Paris, France. 2013: Hommage à Whanki, Whanki Museum, Seoul. KIAF, Kalman maklary fine art, Coex, Seoul. Women in Love, Asian Art Work, Beijing, China. Fragliity(Femlink), Essex Art Center, Lawrence, Massachusetts. Marais digital, Galerie Mamia Bretesche, Paris. 2012: Lattitudes Est, Galerie Albert Benamou, Véronique Maxé, Paris. ILLUMINATION-Light in Today’s Art, Séoul Art center, Séoul. Paris-Seoul Sonamou, Ara art Center, Séoul. 2011: Art Paris, Toxic Gallery, Grand palais, Paris, France. Male (Femlink), XVA Gallery, Dubaï, Émirats arabes unis. Fragliity, Resistance (Femlink), American University of Dubai-RoTunda Gallery, UAE. Monad-isme, Cité International des Arts, Paris. Habiter L’image, Centre culture coréen, Paris. 2010: Art Moscow, N Gallery, Moscow, Russie. art @dibrary, The National Library of Korea-Digital Library, Seoul. Art Paris, Toxic Gallery, Grand palais, Paris, France. Vidéo’appart Paris, Café au lit Gallery, Dubaï -XVA Gallery, Émirats arabes unis. Roma -The road to contemporary art, Metropolart Cities, Macro Testaccio, Rome, Italy. Néo-graphie, Cité International des Arts, Paris. G20 Seoul SUMMIT Celebration exhibition for the Korean fine arts, Shuim Mseum, Seoul. Bastakiya Art Fair, Galerie Mamia Bretesche, Dubai, Émirats arabes unis. 2009: En rentrent chez moi, Hôtel de I’Industrie, Paris. ight On!, Johyun Gallery, Seoul. Miroir Miroir, Toxic Gallery, Luxembourg. Kiaf, Albert Benamou Gallery, Coex, Seoul. Preoccupation, Boston’s CyberArts Festival at Leslie University, Boston, USA. Fragility(Femlink), Franklin Pierce University, New Hampshire, USA. Face a Faces, Albert Benamou Gallery, Paris, France. Face to Face, Busan International Mul-Art Show, Busan Culture art center, Busan. 2008: Art through nature, Coreana Museum, Seoul. Asian contemporary Art fair(ACAF.NY), Special exhibition / 2×13 Gallery, Pier92, New York, USA. VIPS L’Insolite, Albert Benamou Gallery, Paris, France. Contemporary Korean Artists in Paris, Seoul Art center, Seoul. Kiaf, , Albert Benamou Gallery, Coex, Seoul. International FilmFest (Femlink), Hungarian Multicultural center, Hungary, Budapest. Ordre et Deordre, Biennale d’art plastiques, L’espace89, Villeneuve. Director Lounge, the 58th Berlin international Festival, Germany, Berlin. Loop Festival (Femlink), Spain, Barcelona. Mar del Plata, Auditorio, Argentina. 2007: Biennale Thessalonique, Thessalonique, Greece. Festival of Actual Video & Photo Art, Tachkent & Khiva, Ouzbékistan. Art Paris, Grand palais, Gallery Albert Benamou, Paris, France. DiVA / Digital & Video Art Fair, Gallery Mamia Bretesché, Louvre des Antiquaires, Paris. Resistance, Women’s Caucus for Art International Video Screening, New York, USA. Venice Video Art faire, Gallery Mamia Bretesché, Venice, Italy. FRAGILITY (Femlink), Directors Lounge, Contemporary media and art, Berlin F´hain, Allemagne. Geongnam international Art Festival, Internationmultiple Art, Geongnam Provincial Art museum. Fragility / Resistance, Centre culturel Mala Stanica, Skopje / le Cube, Issy-les Moulineaux. Centre for New Initiatives in Arts and Culture, Lokomotiva, Macédoine. 2006: 3artistes invited, Floating time, Monparnass, Museum Paris. Suites Coréennes, Passage de retz, Paris. Femlink, Biennale Europeans d’Art Contemporain, ECOSSE, Edinburgh/Varsovie, Pologne/ Kaunas, LITUANIE. Nuit Blanche, La Bellevilloise, Paris. 2005: Anges, Palais du Tau, Reims, France. Gallery Jean yves Franch font, Montpellier, France. 2004: Nuit Blanche, Dazibao d’images, Université Pierre et Marie Curie, Paris. Art Karlsuruhe, Karlsuruhe Mess, Allemange. 2003: Gisich Art gallery, St-Petersbourg, Russia. Color of Korea in Japan, Iwate Prefectural Museum of Art, Japan. FIAC, Gallery Les filles du calvaire, Paris, France. 100 ans artistes Coreens en France, Gallery Gana-Beaubourg, Paris. 2002: A Second Taik, National Museum of Contemporary Art, Seoul / National Museum of Art, Osaka, Japan. Artransmedia 2002, Foundation Danae, GiJon, Spain. The Color of Korea, Seoul Museum of Art, Seoul. Vidéo-formes, Museum Roger-Quilliot, Clermont-Ferrand, France. Bodyscape, Rodin Gallery-Foundation Samsung, Seoul. To become one with nature, Young Eun Museum, Kungkido-KwangJoo. Color of Korea in Japan, Aichi Prefecural Museum of Art, Nagoya, Japan / Osaka Museum of modern Art ( ATC Museum), Japan. 2001: L’illusion in 3D, Institut Francaise, Stuttgart, Germany. 8eme Festival international d’art video de Casablanca, Casablanca, Maroc. « 0 + x », Espace Bateau Lavoir, Paris. Reminisecences au pay du matin calme, Ambassde Coree, Paris, France. 2000: « Paris in 3 D » Carnavalet Museum, Paris, France. ARCO, gallery Les filles du calvaire, Madrid, Spain. Vidéo-formes, International video et art des nouvelles technologies, Clermont-Ferrand, France. 1999: XIIeme bourse d’art monumental, Centre d’art contemporain (CEREDAC), Ivry-sur-Seine, France. “Between the unknown straits,” Museum Osaka, Osaka, Japan & Art Center, Seoul. Garden of Mimesis, Museum Ilmin, Seoul. Art Brussels, gallery Les filles du calvaire, Bruxelles, Belgique. 3 x 3 = 9, Gallery Les filles du calvaire, Paris, France. 1998: Dijon/le consortium.coll > in work of P.Dejanov & S.Heger, Centre Georges Pompidou, Paris. 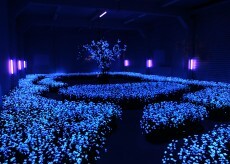 Kyounju World Culture Expo, Multimedia art, Kyong Ju, Korea. “Between the unknown straits,” Museum Megouro, Tokyo, Japan. PICAF, Media Art installation, Pusan Metropolitan Art Museum, Korea. Asian avant-garde, Christie’s, Clerkenwell, London, England. 1997: Biennale Kwangju -The exhibition of youth spirit scientificy, Kwangju, Korea. Deconstruction & Resuscitation, Art Center, Seoul. Salon de mai, Espace Eiffel Branly, Paris. 1996: Cadavres Exquis, Biennale d’art contemporain, Champigny-sur-Marne, France. Prix Whanki, Wanki Museum, Seoul. Technology, Anti-technology, Art Center, Seoul. Taegu Asia Fine Art Exhibition, Museum of Moderne Art, Taegu, Korea. Jeunes peintres coréens à Paris, Gallery Dong-Ah, Seoul. 2000/01: Resident Artist – Centre d’art d’Ivry (CREDAC), France. 1999: 12eme Bourse d`art Monumental, Ivry-sur-Seine. 1997/9: Resident Artist, Samsung Foundation- Atelier Samsung in Paris. 1996: Prix Mixte Media, Beaumarchais Foundation, Paris. 1995: Invited Artist, DANAE Foundation, France. 1994: Scholarship Erasmus (ENSBA-Paris / School of fine Art-Winchester, England).